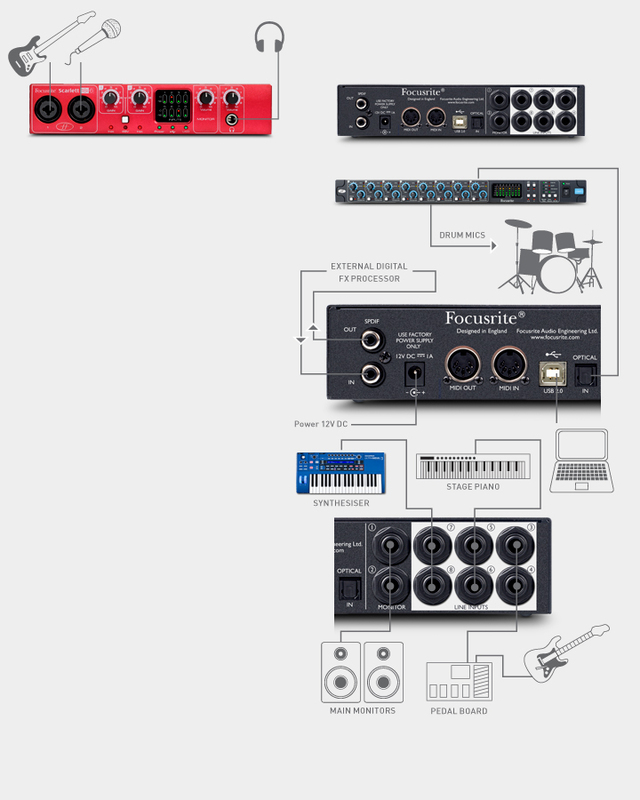 This page is meant to give a quick, user-friendly overview of current pro and semi-pro audio interfaces. It should reflect the linux driver support state of the ALSA and FFADO projects with a recent >= 2.6.39 stable kernel. Fully supported out of the box with ALSA (snd-usb-audio module). supported There is a Windows and Mac configuration program, but it doesn't control much. Any news about USB-audio-2.0 mode ?? USB2 class compliant device, but with custom mixer interface (which is not [yet] correctly discovered by ALSA and thus the driver fails to load). Minimal patch (bypass mixer, full DSP support): patch on ALSA dev mailinglist. Full support incl. mixer, internal routing and device configuration:focusrite devel blog, git repository. Supported, except for the DSP part. The Mk3 (Hybrid) Ultralite is unsupported. Only the original (Firewire only) Mk1 is supported. Works with FFADO using the old stack, full feature support except ffado mixer. after a couple hours of use the USB led on the front goes off and stops working. Works again after switching off-on. Plug into an OSX machine, and use the included software (you don't have to install it and there are no drivers) to reset the device to factory. You can also do this on a Windows machine, but that involves installing drivers, so borrow a Macbook or something. Even after that, plugging it in will crash many variants of the 2.6 kernel. This is a kernel interrupt-handler bug. HOWEVER! You can upgrade Linux kernels without upgrading the entire GNU/Linux OS. Directions for Ubuntu are here: https://wiki.ubuntu.com/Kernel/MainlineBuilds Upgrade to version 3.1.5-generic, and restart the machine. Plug the US-800 into an open USB port. There will be MANY complaints in syslog. That's… marginally okay. Better than crashing, anyway. We'll fix it below. Launch JackAudio. Go into settings panel, create a new config, based on current actual configuration. THE RESULT WILL BE WRONG, but we'll fix it. On the lower right there will be dropdowns for numbers of inputs and outputs. It will probably default to either 2/2 or automatic/automatic. This is wrong. Set those manually to 8/2. Go back into settings, and on the lower right, near the number-of-inputs selectors, there will be device selectors for both input and output. Do NOT pick plughw, even tho' that should totally work. Click on the little down wedge icon that brings up the physical device names, and select “us800” for both inputs and outputs. Save changes, stop and restart JACK server. 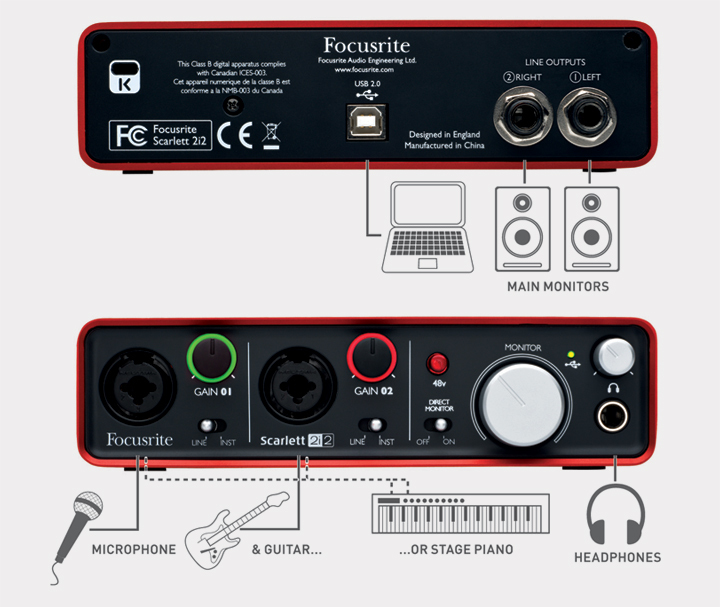 You should now have at least all six analogue inputs, and both outputs, at least in things that talk to JackAudio. I can't validate the digital inputs because I lack the hardware. I tested mostly with 44.1khz but in testing other bitrates worked fine too! I can't get other 24-bit to work, though. But that's ok for me, I record at 16 bit. Claims to be a USB Audio 2.0 compliant device; locks Ubuntu 10.04 LTS (Lucid Lyyx) 2.6.32-35-generic shortly after plug-in. Survival time is longer in text console than in GUI. End up with BUG: soft lockup - CPU #0 stuck for 61s! [khubd:29] errors, and then lots of tasks are blocked for 2+ minutes (like kjournald and upowerd and rsyslogd and and and). WORKS completely! Tested under Linux Mint 12. Note: The discontinued io2 (not express) had a different casing and offered digital audio out, but is probably otherwise identical and should work just as well. WORKS completely: Tested under Ubuntu 9.04 on an eeePC using ALSA, Jack and Ardour. Also on Linux Mint KDE 12 with KXStudio. Note: Audio seems to run only at 44.1kHz, not 48kHz. The io4 is essentially identical to the io2 express (above) but with two additional channels for 4-channel operation in 16-bit mode, and unlike the io2, the io4 is not bus powered. with JACK. (I'm running debian Linux 3.2.0-2-rt-686-pae #1 SMP PREEMPT RT). down to -p64 -n2 he needs the lowlatency kernel or jack produces xruns. reference point to calibrate the measurement. Optical I/O is ADAT. There's no word-clock input. uses it on those OSes,too. Kees and me don't. Under GNU/Linux the sync-settings can be configured with alsamixer. Brian uses a simple amixer script triggered on device-connect. With Jackd-1.9.9 the device even survives suspend/resume cycles! This page could also indicate, if a firmware is required for a device, if so. This section lists hardware companies , which are known to either offer free, libre, open-source drivers for their hardware, OR provide enough information and specification for a developer to implement full device support . Please add hardware companies - you know about - supporting FLOSS. Thank you.